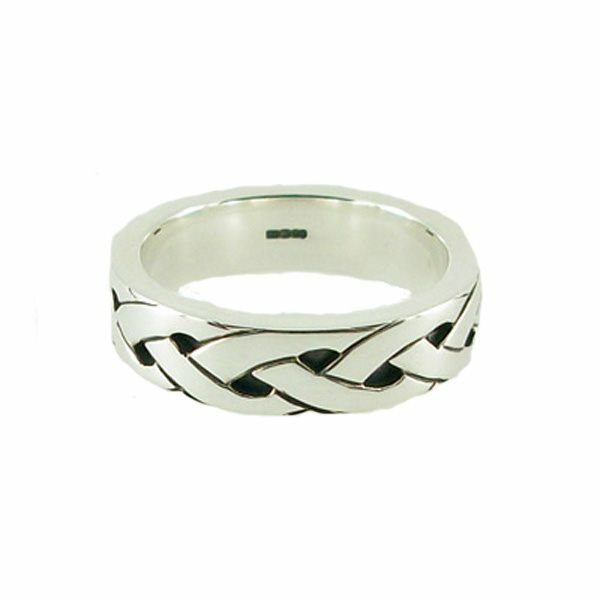 Celtic twist sterling silver unisex ring. Hallmarked at the Edinburgh office. Supplied with a presentation box.